What in the world is REC? 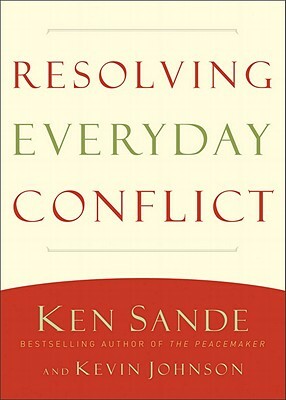 Resolving Everyday Conflict. Last Sunday we began a journey at OGC of working through this study by Peacemaker Ministries. It aims to help us navigate the troubled waters of inevitable conflict in relationships in a redemptive way. If you missed session one, you are more than welcome to join us this Sunday at 9:30 AM for part two. In session one I did my peacemaking version of “this is a football.” I covered the ABCs of REC. Ready? A – awareness of one’s heart. Two key texts anchored our study. James 4:1-3 gives us this building block of the ABCs. To deal with the symptom you have to know the cause. James makes it plain. Passions, cravings, idols of the hearts, often good things that become god things and end up bad things more than not turn disagreements into relational war. So stand guard over your heart from the get go. Be suspicious of your own desires-turned-demands that throw gasoline on the disagreement fire. B – burdened for others’ interests. Philippians 2:3-4 shape this fundamental. Paul assumes we will do the self-interest part of the equation. What he pleads is that we will give the same level of concern to what drives others in our conflicts. It’s not an either/or proposition; it’s a both/and one. C – consumed with Jesus’ mindset. Paul tells the rest of the story in Philippians 2:5-11. Imagine that. He points us to the gospel – Jesus sacrificially humbled on the cross, then gloriously exalted in the heavens. Jesus sets the pace for us. He puts the bar high by His own example. But that alone will never get us to a place of concerned deferral to others even sacrificially. Please note. A mind like this, one that looks out for interests of others to such a sacrificial degree, is yours in Christ Jesus. That’s what he wrote. It’s our very own possession. Because we are in Christ we have the supernatural strength to elude the grip of selfishness and travel the way of others-interests. That’s terribly good news. These are the ABCs of REC. How’s your grade lately in the school of conflict resolution? Maybe you could use some remedial tutoring? Hope to see you Sunday.